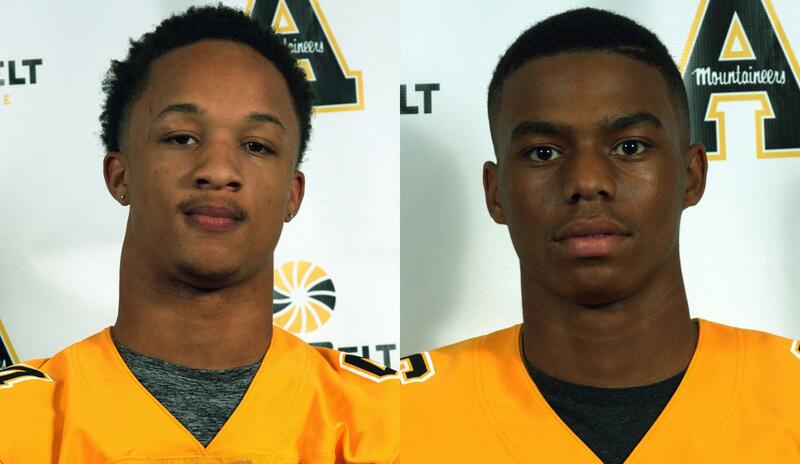 Clifton Duck (left) and Aris Duffey (right) are App State football's newest recruits. Duffey is rated as a three-star prospect and Duck is rated as a two-star prospect by Scout.com and 247Sports.com. 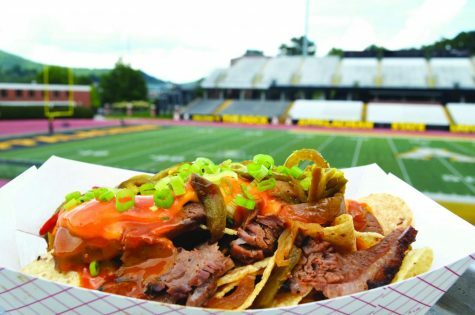 Photo courtesy of Appalachian State Football. 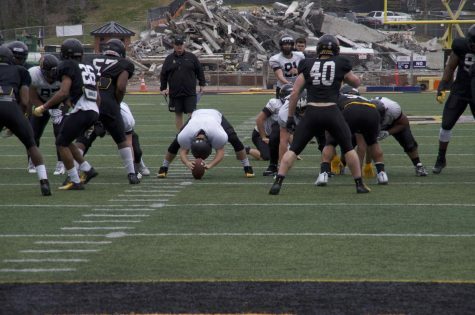 App State’s offseason seems to be a continuation of their stellar regular season. 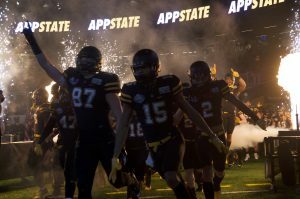 After a banner year that included 11 wins in 13 games and a Camellia Bowl victory, the Mountaineers turned around and had an outstanding recruiting season as well, signing 23 new recruits for the upcoming season. 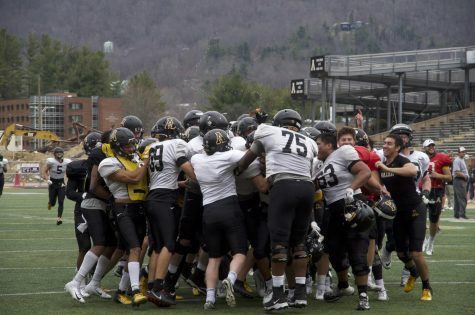 Several of these are rated as three-star recruits by various scouting websites and two have decided to forego their final semester of high school and enroll early to get ready for the season in the fall. Clifton Duck, rated a two-star prospect by Scout.com and 247Sports, was a four-year starter at powerhouse Butler High School in Charlotte. 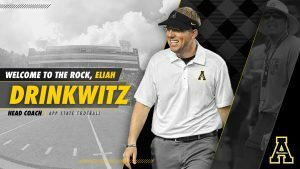 He was a member of the Butler 2012 4-AA NCHSAA State Championship team and intercepted a pass in the title game that season. 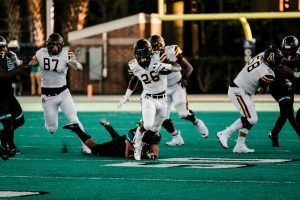 Playing on both sides of the ball as a defensive back, wide receiver, running back and punt returner, he was a three-time all conference honoree and voted best Butler defensive back for three straight seasons. 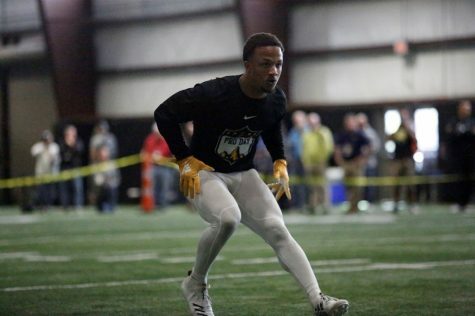 Aris Duffey, rated a three-star prospect by 247Sports and a two-star by Rivals.com and Scout.com, is a defensive back out of Nease High School in St. Augustine, Florida. As a senior he was named the St. Johns County Defensive Player of the Year by the St. Augustine Record after putting out 58 tackles [three for a loss], forcing one fumble and blocking a punt. He also lettered in track and field as well as lacrosse for Nease. Duffey also said that skills he learned in his other sports will help him now. “[Track helped] working on my speed and getting faster, [lacrosse] also helped me get faster and maintain a good condition,” Duffey said. A concern with some early enrollees is how they will transition from high school to the college classroom while also focusing on football. Head coach Scott Satterfield said he understands the difficulty of their transition. 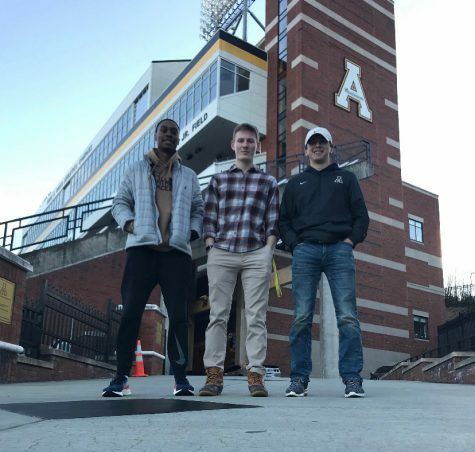 While Duck has his eyes set on the business field and currently plans to major in management, Duffey has chosen a different path and already has a head start. Satterfield feels both players will be great additions to the team in the future. 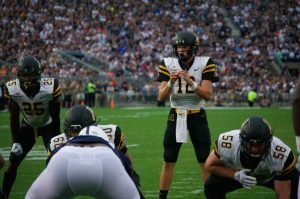 The Mountaineers continue to prepare for the upcoming season, and with the loss of a key secondary player from 2015 of Doug Middleton, App State could see Duck or Duffey in serious competition as early as August.